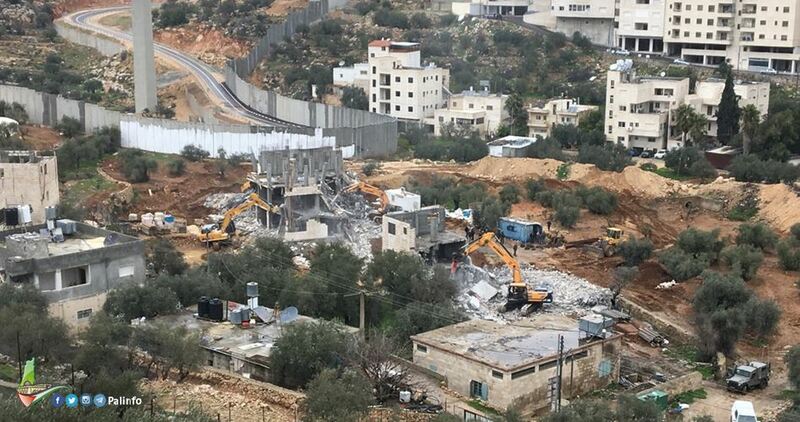 The Israeli district court in Occupied Jerusalem issued a verdict allowing the Israeli municipality in the city to demolish dozens of Palestinian homes in Wadi Yasoul neighborhood in Silwan district. Two Palestinian brothers, Fadi and Shadi Ajlouni, were forced to demolish their own family home in the Old City of Jerusalem, in the central occupied West Bank, in order to avoid incurring a heavy demolition fee from the Israeli municipality, who ordered his home be destroyed under the pretext that it was built without an Israeli-issued permit, on Saturday. According to Daniel Seidemann of the NGO Terrestrial Jerusalem, “Since 1967, the Government of Israel has directly engaged in the construction of 55,000 units for Israelis in East Jerusalem; in contrast, fewer than 600 units have been built for Palestinians in East Jerusalem, the last of which were built 40 years ago. According to UN documentation, three Palestinians were displaced and five buildings have been demolished in East Jerusalem since the beginning of the year as of Jan. 29. In 2017, a total of 142 buildings were destroyed in East Jerusalem, displacing 233 Palestinians. The Israeli occupation authority in Jerusalem on Saturday forced a Jerusalemite family to demolish their own house in the Old City. According to local sources, the family of Ajlouni had to knock down its home in as-Sa’diyya neighborhood near the Aqsa Mosque to avoid exorbitant expenses if the Israeli municipality sent bulldozers to demolish it. The deadline that had been set by an Israeli court and the municipality for the demolition of the family’s house expired today. 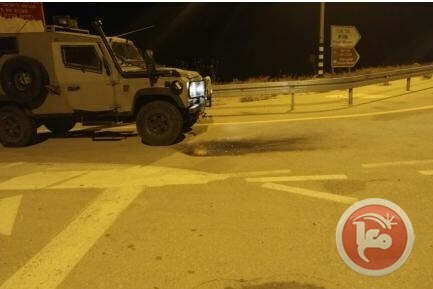 Israeli forces confiscated four Palestinian vehicles, overnight, from the Beit Ummar town in the southern occupied West Bank district of Hebron. 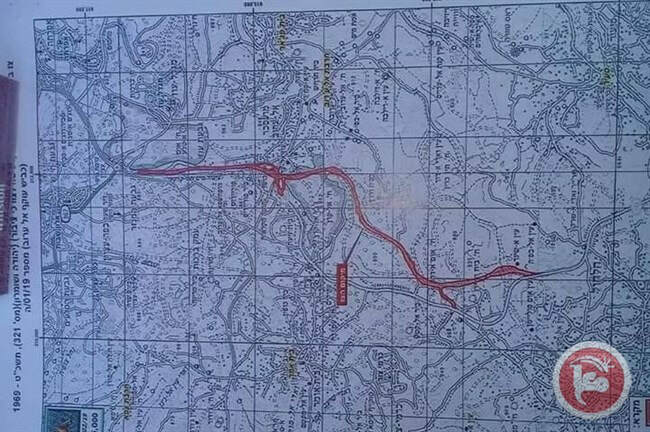 The Israeli authorities issued a military order to confiscate 401 dunams of Palestinian lands in the al-Arroub refugee camp, Beit Ummar and Halhul towns in the southern occupied West Bank district of Hebron. 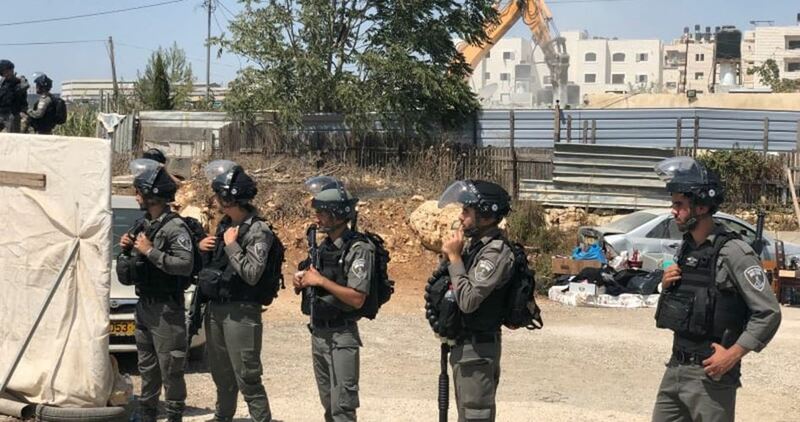 The Israeli municipality of Jerusalem delivered demolition notices to residential structures in the Issawiya neighborhood, on Wednesday. 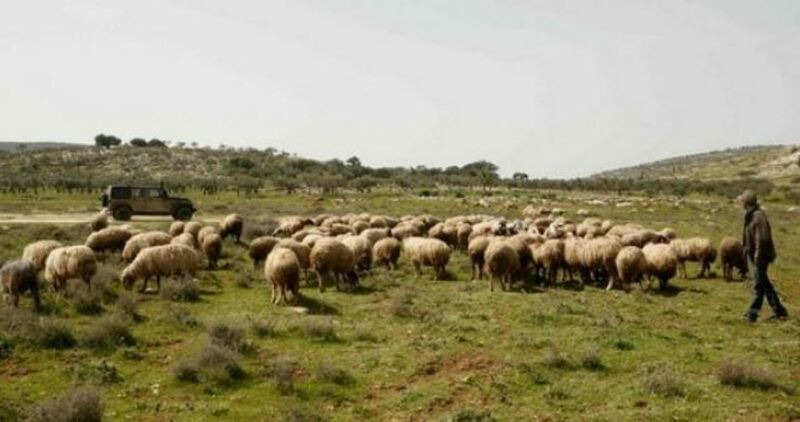 The Israeli Civil Administration are planning to seize hundreds of Palestinian-owned agricultural lands, in the northern Jordan Valley, on Tuesday afternoon. The Israeli occupation army on Monday ordered a number of Palestinian citizens to evacuate their own lands in Battir town, west of Bethlehem in the West Bank. 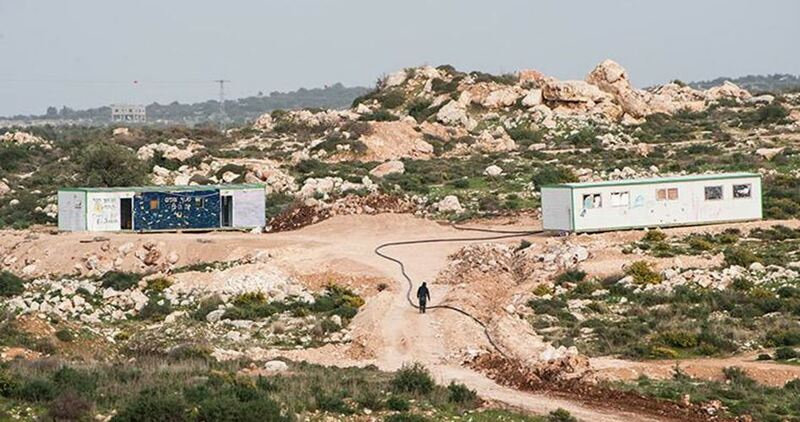 Local official Hasan Berejiya said that Israeli forces stormed al-Khimar area of the town and handed local residents notices ordering them to evacuate their lands at the pretext they are Israeli state property. According to the notices, the landowners were given 30 days to file an objection against the military order. 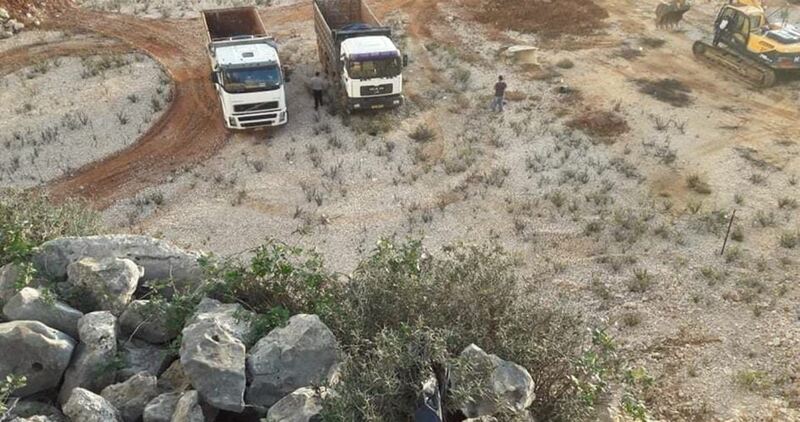 Al-Khimar area of Battir town has been exposed to a frenzied attack by the Israeli army and Jewish settlers, who try to seize it through placing mobile homes and planting saplings. 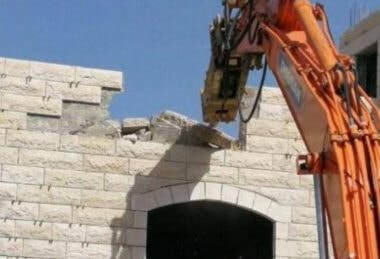 A Palestinian from Beit Jala City, in the southern West Bank district of Bethlehem, was forced to demolish his own home upon order by the Israeli authorities, on Tuesday. settlers in the occupied Palestinian territory are more easily given building permits and allowed to expand their homes and properties.